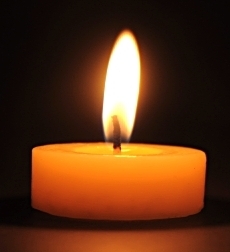 Robert Lenda, 54 of Bayonne, passed away at home on Saturday, March 30, 2019. Born in Poland, he emigrated to the United States many years ago where he settled in Bayonne. He was employed as a construction worker with the West New York Restoration of CT Inc., and was also a member of the Construction Workers Union. Robert was predeceased by his father Alfred Lenda. Left to cherish his memory are his daughters, Ewelina Kieloch and Karolina Szymczyk; his mother Helena (nee: Czyzewska) Lenda; 1 sister Elwira Kostrzena, 1 brother Andrej Lenda; and 3 grandchildren, Daniel and Natalia Kieloch and Kasandra Szymczyk. Funeral services were private. Interment will take place in Poland.